A few of months ago I started receiving emails from VMware reminding me that my VCP 5 was going to be expiring. With the changes that were introduced last year, I definitely did not want my certification to expire as it would result in me needing to not only sit two full exams, but to also attend an authorized class again ($$$). Luckily I’m able to take advantage of the Delta exam (2V0-621D) for existing VCPs. It is comparable to the full exam, except it is slimmed down (65 questions) and I believe there are a couple of areas not tested (although I can’t seem to confirm that anywhere online). The Delta exam was offered as a beta for a while, however I ended up not going through with it – mainly because kids are an incredible time sink, and before I knew it the Beta period was wrapping up. With that being said I decided to get really serious about studying for the 2V0-621D this summer. I wanted to use this blog post highlight the various resources I used for studying, and if it only helps even one person then that would be great. The first step I took was set a goal; initially I decided on ‘this summer’ but without an actual date, things would just slip on by. After attending VMWorld (more on that below) I decided that I wanted to sit the exam within a month of it ending – now I had a date. I started off by buying Mastering VMware vSphere 6 by Nick Marshall, Grant Orchard, and Josh Atwell. 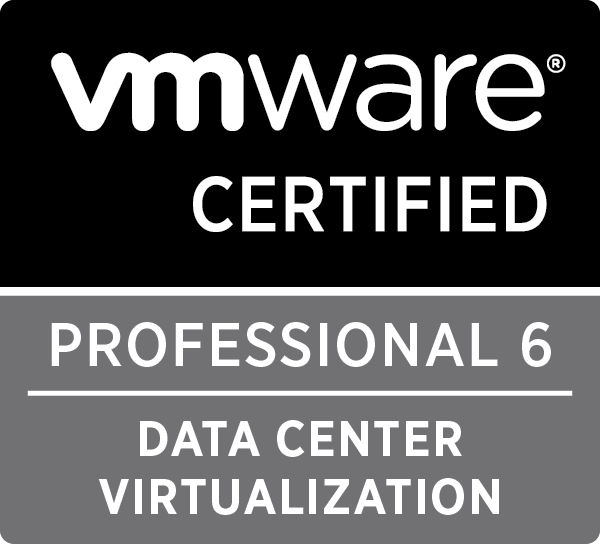 I had the Mastering VMware vSphere 5 when I was studying for my VCP 5, and I found it was a great book. I didn’t read that one from cover to cover, but I did use it extensively as a reference for areas that I did not feel competent in. The new version was much the same – I started reading it cover to cover, but I got a little impatient and started jumping around. It’s not that it was boring or poorly written, it was more so that I felt I knew some areas and was wasting study time reading it. I do fully intend to go back through and read it cover to cover … there is a lot of good material in there. I am a huge fan of the vBrownBag stuff; they have a VCP 6 series of videos that is still currently in production. These videos were tremendously helpful. Most of them involve pulling up a copy of the 2V0-621 Blueprint, looking at the objective and walking through it. Straight and to the point, but they also explain the how and the why of the process. 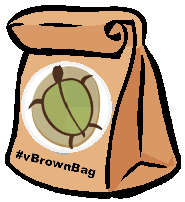 vBrownBag has a ton of community content, not just VMware specific stuff – highly recommended. I also joined VCP6-DCV Study Group on Google+ – this place has a great collection of resources for studying, and it also has a community vibe where you can post questions related to the exam / study topic. I have always found it easier to study while working with a group, it tends to give me motivation to keep going. Incidentally I had joined the group a couple of weeks prior to VMWorld, only to find out that one of the main posters on there is Ariel Sánchezv, who also did some of the vBrownBag videos, and who incidentally I ran into by chance at VMWorld. Ariel was a big motivator for me to keep going on this track as his enthusiasm is contagious. Veeam also released an updated study guide for the VCP 6; I ended up downloading, printing, reading, and making notes the day this thing came out. It is another great resource that I reviewed many times prior to the exam. Well worth the read – be sure to thank the authors if you can. Lastly, VMWorld had a huge impact on my ability to take the test – something that I didn’t even realize until I sat the exam. While there I spent a lot of time absorbing material from all sorts of resources (vBrownBag talks, sessions, and even from just talking with vendors). There were quite a few questions on the exam that specifically stood out to me because someone at VMWorld had mentioned something that didn’t seem significant at the time, but got filed away in my head. Not to give specifics, but for example someone might have mentioned a port number that a service runs on – nothing earth shattering, but it just stuck for whatever reason. So I sat the exam yesterday, and it was a fair amount of stress leading up to it – not because I was stressed about the exam, but because of the events leading up to it. The day started off needing to recover a file for a group at work. Not a big deal, except they weren’t sure of the name, the exact location, or when it was last there …. great. We spent a bunch of time pouring through the backups we had on-site without luck. I then opted to go grab some offsite hard drives to check those; well along the way my check engine light came on and the car started shaking (I think it was the fuel pump … but that is outside the scope of this post). Great – so I’m stranded with these drives that we need back at the office, and then I need to get to the testing center, and somehow still make sure my kids get picked up from school, etc. etc. Long story short I was able to get things in order and I even managed to arrive at the testing center early. I spent about an hour doing the exam – I was thrown off at first as there was no ‘once you click here the exam will start’ type warning. As soon as I accepted the terms and agreement, the exam was in progress. Any time I have done any of these cert exams I would have loved to have asked for clarification on the questions, but that isn’t an option. All in all I found that I was able to get through a lot of it by knowing how the products work and not necessarily the specifics. For example, I may not know the specific answer to a question, but based on my understanding I can rule in or (more often) rule out answers. Without breaking the NDA, there were also a couple of times that I could confirm my answer by using questions later in the test. • Lots of good content from VMWorld; some select videos are available here – watch them if you don’t have access to all the content.